We pride ourselves on the additional opportunities we provide for pupils. Learning inside the classroom is the key to success, but we also believe that so much more can be learnt beyond the classroom. 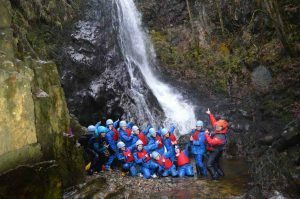 Extra curricular activities are a key feature of the school with every possible type of trip and visit to suit all interests and all abilities. Theatre trips to London, visits overseas and several outdoor and adventure trips are just some of the highlights of the school year, which provide rich cultural experiences for pupils. Broadoak also holds the accolade of International School status and we have regular visits from colleagues and pupils from all parts of the world. Most recently we hosted Olympic delegates from Pakistan and staff and pupils from Mthashana College in South Africa. Pupils at the school have also had a variety of opportunities to represent the school on trips abroad. “An outstanding range of opportunities is available for students to engage in the school and local community”.